Our edit of Alice in Wonderland themed gifts, from Alice in Wonderland jewellery to afternoon tea experiences. From beautiful bone china and quirky jewellery to Wonderland themed afternoon teas fit for the Queen of Hearts, we’ve curated an edit of the best Alice in Wonderland gifts for the Alice fan in your life. 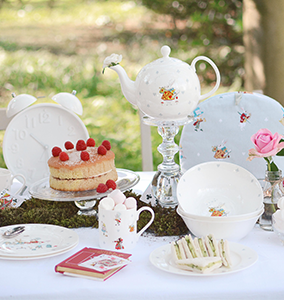 Sophie Allport has created a beautiful collection of homewares to commemorate the 150th anniversary of Alice's Adventures in Wonderland. With artwork based on the original colour illustrations of Sir John Tenniel, the collection includes stationery, kitchen textiles and fine bone china that has been hand decorated and finished in the UK. 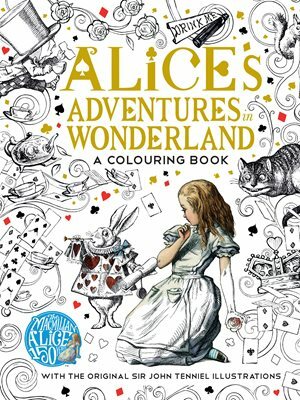 This gorgeous colouring book features all of Wonderland's favourite characters – the White Rabbit, the Cheshire Cat, the Mad Hatter, the Red Queen and of course Alice herself - just waiting to be brought to life with colour. The Macmillan Alice Colouring Book will stimulate the imagination and soothe the mind, as you lose yourself in Wonderland. 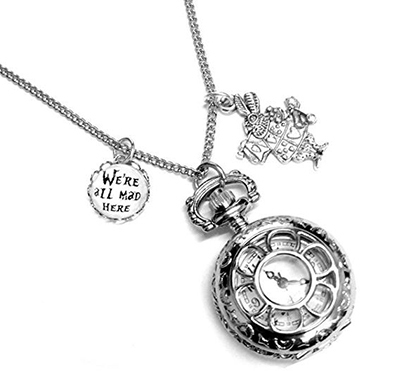 A beautiful Silvertone working pocket watch on a very long necklace with a White Rabbit charm and a 'We're All Mad Here' charm. 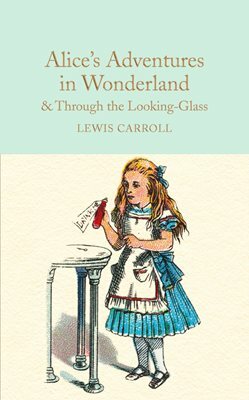 A great gift for an Alice in Wonderland fan. Eleanor Stuart's prints are bold, fun and charming. Her Alice Collection is inspired by the original illustrations of Sir John Tenniel with added twists and colour to make each print unique. 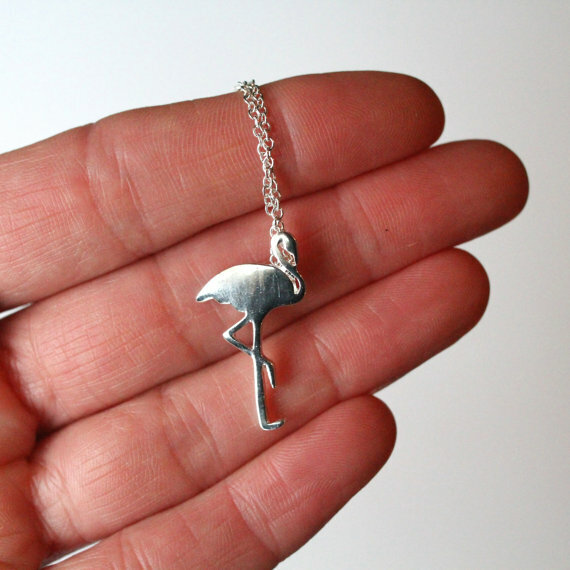 Shootingnelly's silver flamingo necklace is simple, pretty and delicate - the perfect way to pay homage to Alice in Wonderland. You can find more Alice in Wonderland jewellery gift ideas on Etsy. This beautiful gift edition will appeal to any Alice in Wonderland fan. Small enough to fit in your bag, or even your pocket, you can tumble down the rabbit hole at any opportunity. 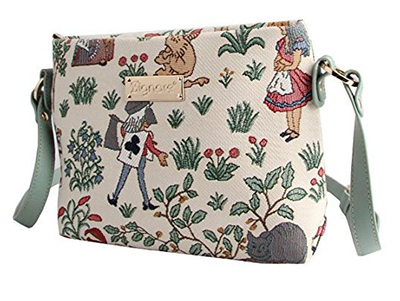 Signare's nifty satchel features all of the weird and wonderful creatures you know and love from Wonderland. From the eccentric and unpredictable Mad Hatter to the the witty Cheshire Cat, make an entrance with this design classic. 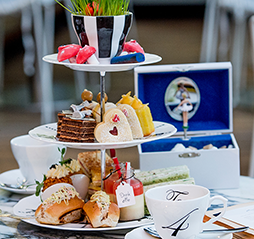 The Mad Hatters Afternoon Tea at the Sanderson Hotel is a tea party you won't want to end! Indulge in melt-in-your-mouth sweet and savoury treats paired with Alice-inspired tea infusions, served in teapots adorned by kings and queens and plates decorated with ticking clocks. 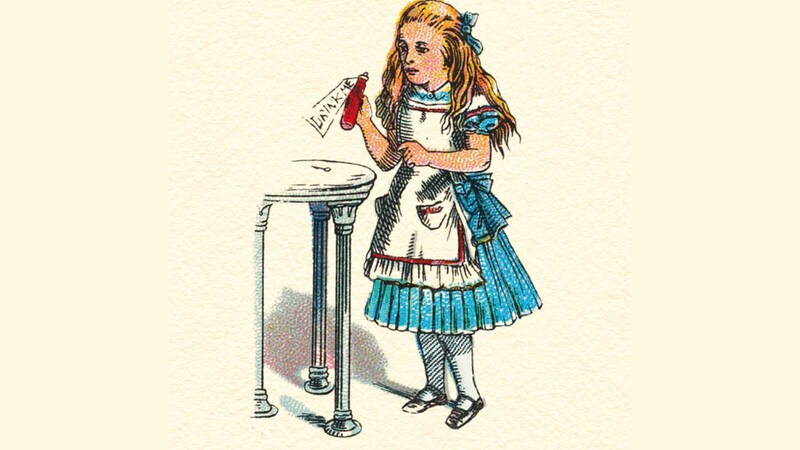 If you're thinking of throwing your own Alice in Wonderland tea party, click here.